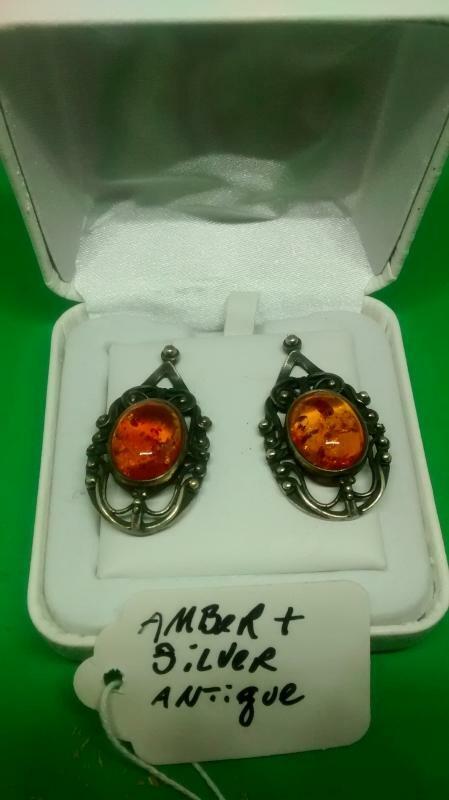 A stunning pair of Amber earrings surrounded with Silver. These are large yet elegant and will enhance any wardrobe. They are approximately 1 x 1 1/4 inches and will get admiring looks at any occassion.